Posted on May 11, 2017	by Rachel L.
Not only are OSHA regulations important to comply with, but also they’re always evolving. It’s up to you to keep up. New OSHA rules are rolling out all the time – here are some examples. Keeping employees up on the latest safety procedures as defined by the Occupational Safety and Health Administration (OSHA) is a clear priority at a workplace of any kind, but there are complications. The exact practices organizations have to follow must be defined by each company’s industry and role, however, policies change every few years, which calls for constant awareness. Across industries, policies are always up for revisions to suit modern workplaces. When you’re preparing your OSHA training programs for employees at all levels, it’s essential to ensure the concepts you teach are based on the latest legal and regulatory changes. The following items are just a few elements of OSHA compliance that have changed over the past few years. Furthermore, more new stipulations could be on the way. It’s wise to keep monitoring these situations, as the changes you make to training and preparedness may continue evolving. Even if these topics don’t apply directly to your industry, you shouldn’t let your guard down with regard to OSHA updates and training, as any and all categories are prone to receive updates. On the positive side, the author believes the recent regulations are an improvement on older standards, perhaps due their enduring a long period of comments and revisions since their introduction for industry input in 2010. The rules entering common usage are based on performance standards, instead of insisting on particular methods. This will be relevant to your efforts to teach these new standards to any employees in pertinent roles. The discussion has ended on fall prevention for now, with new rules finally enacted. What’s next? The Hazard Communication Standard could be in line for changes, according to Safety + Health. The discussions took shape in a November meeting between OSHA personnel and industry leaders. The standard was most recently updated in 2012, and while the agency declared itself very pleased with that document at the time, some professionals have developed issues with the standards. One of the possible areas for attention noted at the meeting is the slight disagreement between the OSHA standard and the Safety Data Sheet used internationally. Because the harmonization of policies between the U.S. and Europe was a stated goal at the beginning of the 2012 regulations, it could be argued that the rule is incomplete until they are brought closer into line. Safety + Health reported that a complete reshaping of the HazCom rules isn’t on the table at this time. Instead, the agency is interested in just tweaking the 2012 version of the regulations. The pillars of the standard, which are set to stand, involve chemical manufacturers and importers offering pertinent information about their products and companies that work with chemicals educating their employees on any relevant dangers. 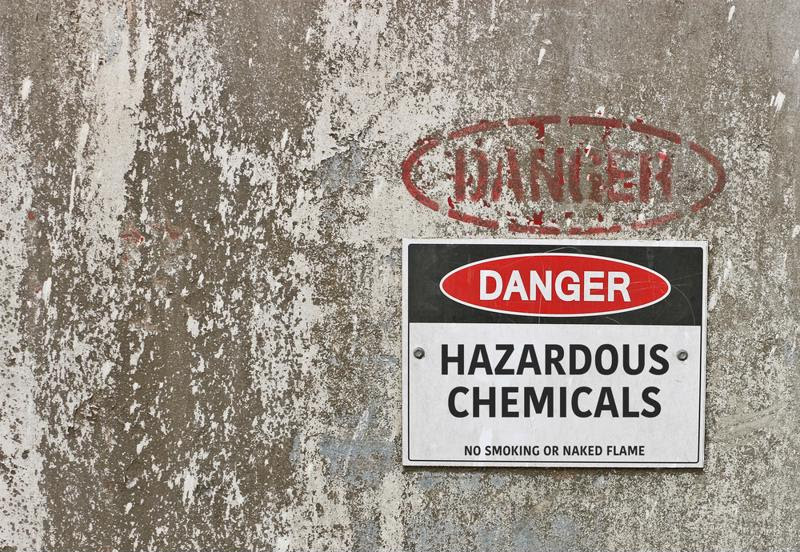 Chemical hazard labeling is up for review. Sometimes, updates to OSHA standards are minor, incremental changes, as in the aforementioned case. At other times, the department goes further in modernization. According to the Society for Human Resource Management, a few of the latest proposals have gone so far in this direction that they have drawn concerns. Attorney Tressi Cordaro zoomed in on the lockout and tagout standard associated with energy-source hazards. The change to this machinery standard has to do with the danger of machines becoming unexpectedly active. If such a risk exists, equipment must be powered down to be repaired. A similar rule 20 years ago was clarified by the U.S. 6th Circuit Court of Appeals to mean that such an unexpected start-up occurs only when a machine gives no audio or visual warning. Now, OSHA is considering dropping the word “unexpected” from the regulations, which would make it apply in a much wider swath of cases. Cordaro’s concern has to do with the fact that companies have potentially purchased and set up equipment so as to not become unexpectedly active and violate the old rule. The implementation of a new standard would invalidate that effort – this may be a bigger issue than OSHA wanted to create with its simple modernization changes. When you train your team on relevant OSHA regulations, you have to work with the latest information. The above examples are just the beginning of the potential issues you’ll face. Rule updates are a constant factor across industries, and you don’t want to give your team members outdated information. This is one area where MasteryTCN’s course offerings can help your training program. The OSHA-related courses are based on current information and designed for clarity. Each one is video-based, which makes for a better learning experience. With hundreds of topics available, you can bet your industry will be covered. This entry was posted in OSHA, Training News, Workplace Health and Safety and tagged OSHA, osha general, osha regs, safety, Safety Training, training. Bookmark the permalink.